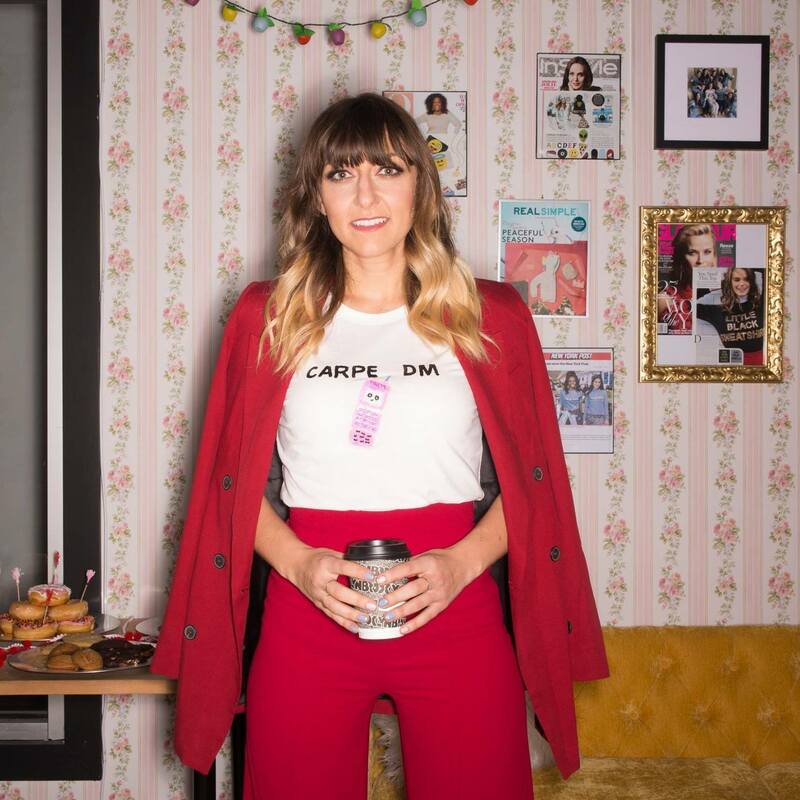 Bow and Drape founder Aubrie Pagano talks about becoming the Pandora of fashion. After just three years on the market, Bow & Drape has all but conquered the millennial market of customization, and is now looking forward to see what’s on the horizon. We talked to Aubrie about the inspiration behind the company and what she loves most about running a fashion brand. Aubrie was just 26 when she started Bow & Drape. After graduating from college, she worked as a financial analyst and business consultant for Fidelity and XFactor Ventures in New York City. Eventually, a business idea began to form. After working on her idea for eight or nine months, Aubrie contacted Shelly Madick, her former roommate at Harvard, to hop on board. They initially chose the name Bow & Drape as a reference to dressmaking terms, thinking they would center the business around dresses. However, they soon came to realize that dresses weren’t in line with their target audience. Millenials like herself, she says, actually wear more hoodies, T-shirts, and jeans than anything else, so they quickly adapted their product to reflect that. Bow & Drape launched in 2015, starting out online and expanding into retail outlets like Nordstrom’s. They are now featured in over 300 stores across the country and have ten full time and ten part time employees, an amazing feat for a business owner who has barely brushed shoulders with 30. Aburie’s quirky style and wacky sense of humor can be credited for the brand’s unique, slapstick voice. Aiming to create a product that was fun and stylish yet made for the individual, she spearheaded the content creation from the start. The resulting product is a testament to Bow & Drape’s hard work from a branding perspective, says Aubrie. Although the team has occupied different offices, first in Manhattan and later in Brooklyn, being headquartered in New York was never debatable. For their online store, all of Bow & Drape’s customization is done in under five days in Brooklyn, and most products arrive within seven days. In the stores, however, customers can decide on their text, style, and garment and the customization is done right on the spot in about 10 to 20 minutes. Whereas many ecommerce outlets struggle with their own in-store strategy, Bow & Drape offers an enjoyable experience that works equally well on and offline. Although only a handful of stores offer full customization, the rest offer fun, ready-to-wear hoodies and T-shirts perfect for adding that splash of fun to any wardrobe. Their approach to customization extends not only to the customers but to their retail partners. With three years worth of data detailing the different types of customers who might be interested in their product, Bow & Drape can collaborate with department stores or boutiques they are working with to come up with the right assortment of patches or lettering to fit their clientele. Personalization, Aubrie predicts, is truly the future of fashion, and it’s only going to keep getting stronger. The question for them from the beginning, she says, was how to make the model economically viable. This is where her partnerships with retailers proved to be particularly helpful, allowing them to experiment with different models of collaboration, including who pays for staffing, who pays for the equipment, how much should they be staffing, etc., resulting in a fruitful partnership on both ends. Aubrie’s driving passion is working on the creative side and developing the products, developing the phrases, and coming up with innovative content. However, her other favorite part of the job was one that took her off guard – that of building a great team and fostering an excellent company culture. For an entrepreneur with Aubrie’s business savvy and creative spirit, we’re not surprised that she has lots in store for her company. So whether you’re looking for french fry patches or custom phrases, cheeky hoodies or inspirational tank tops, check out Bow & Drape’s collection today, and get your stitch on! Are you growing your ecommerce business like Aubrie? Learn more about our ecommerce marketing tools.